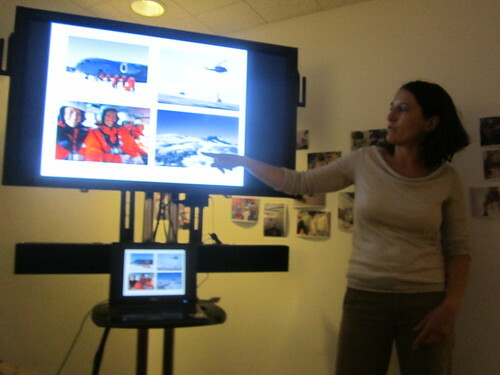 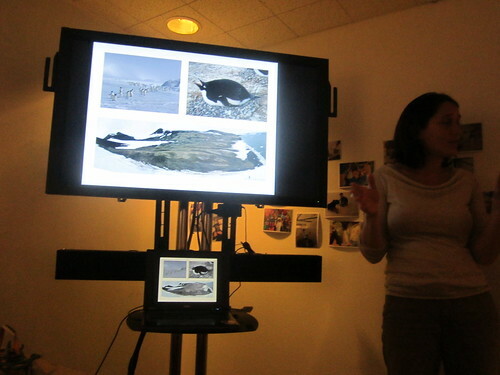 Viola, a penguin scientist, told the Flying Fish about her experiences studying penguins in Antarctica, told them about penguin habits, and showed them the birds’ bones and feathers. 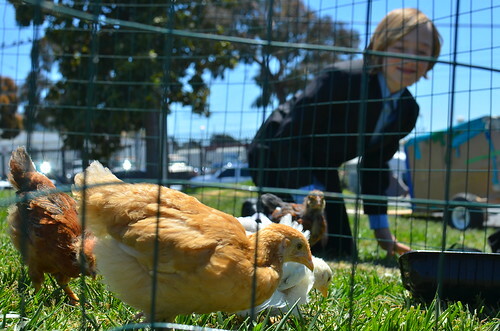 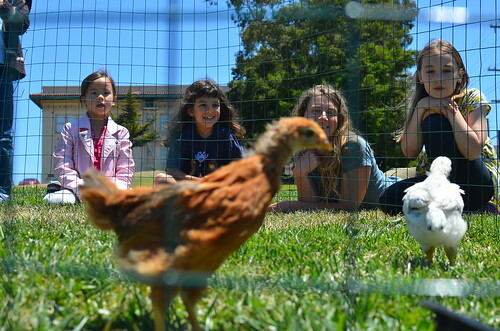 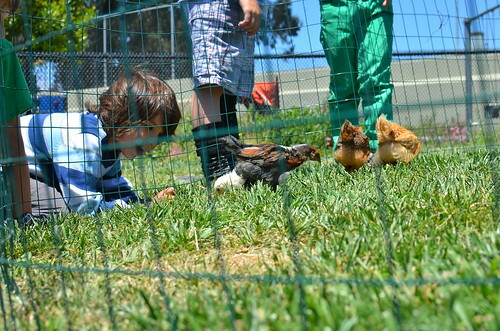 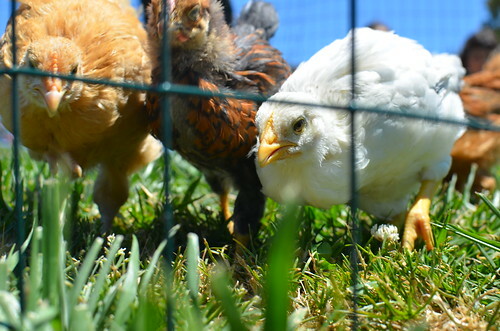 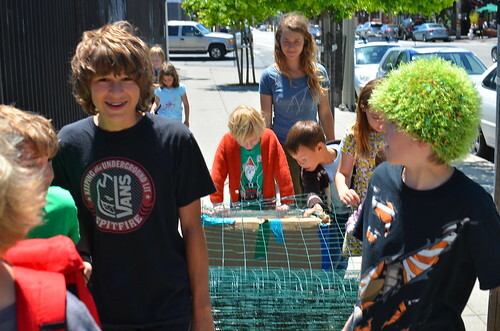 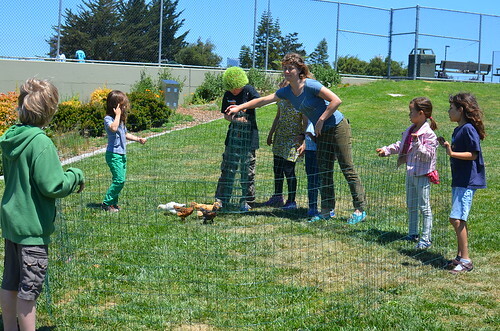 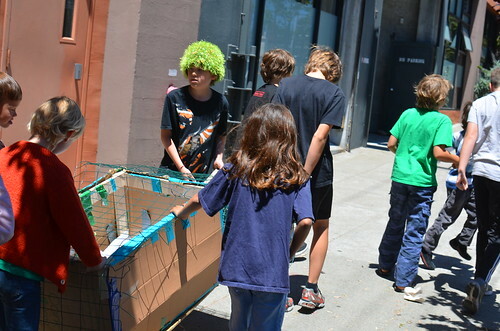 The kids brought the four chickens to the park this afternoon so the birds could get some sun and explore the outside. 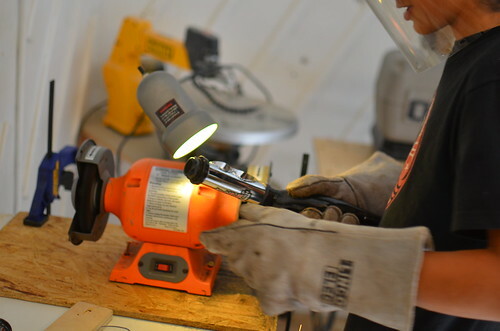 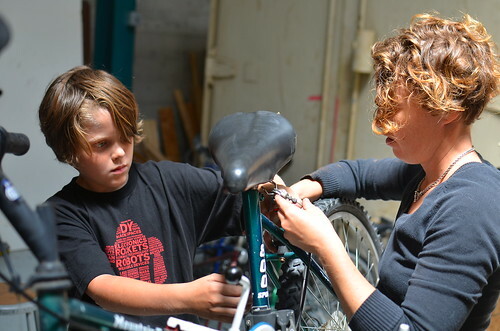 Bike expert Nora came back for some rickshaw building and bike dismantling.